Montage at Kapalua Bay is an unparalleled collection of two and three bedroom luxury villas nestled on the shores of Kapalua Bay in Northwest Maui. Guests enjoy dedicated concierge service, a lagoon pool, world-class spa, tour championship golf, state-of-the-art fitness and tennis center, nature trails and hiking, water sports and more. 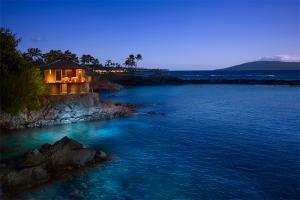 Located on Maui's scenic northwest shore, 10 miles from Lahaina, 5 miles from Kaanapali.